All 6850 SSA teachers have decided for Mass dharna on 8th to 10th August 2018 at Itanagar as mark of protest. Continuing their demand for regularization on phase manner, to The Central Body of All Arunachal Samagra Shiksha Abhiyaan Teachers Association (ISSE)(CB-AASSATA) decided to go for the Dharna as mark of protest. Addressing the media today AASSATA President Tarak Agung Tarh said this is our long pending demand to the concern departments in particular and the Govt. of Arunachal Pradesh for regularization on phase manner. On this regards as per budget speech that on 26th March 2018 a 5-member committee was constitute headed by Secretary Education for framing of modalities for SSA teacher’s regularisation and the committee had submitted the report of all the 27 subject including SSA teachers demands to State Govt. on 27th of April 2018. But its our utter surprise that other subject constitutes in same committee had been approved in state cabinet sitting since after budget speech but our agenda for regularisation of SSA teachers remain untouched. And also said that SSA teachers are loyal in building human resource development with meagre consolidated salary but never compromised our duty inspite of several hurdles. At present most of the teachers have crossed age above 40 years and no possibility for absorb other jobs. So all 6850 SSA teachers have decided for Mass dharna on 8th to 10th August 2018 at Itanagar as mark of protest. 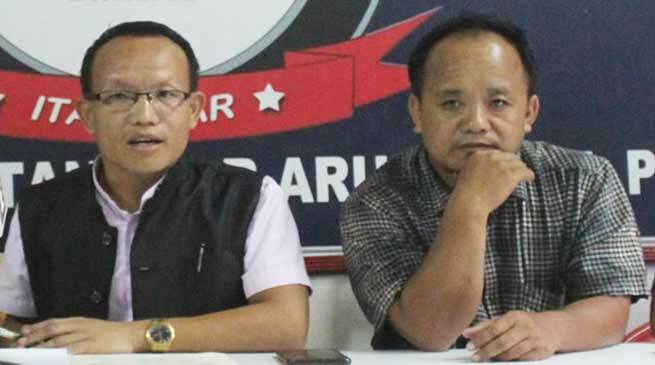 Agung also said if government fails to full fill our demand , then after dharna , they will go for indefinite non cooperation movement on 16 August and no single SSA teacher will attend their duty And it will be followed by indefinite hunger strike on third phase.